Taverna Khione opened at the former Café Shelburne space at 5573 Shelburne Road on Tuesday, April 7. As owner Marc Provencher recently told Seven Days in these pages, Greek American staples gyros and moussaka were not on the menu. However, lovers of Greek comfort food were treated to a cinnamon-imbued pastitsio. Other familiar dishes that do make the menu include tzatziki, feta saganaki and the stuffed grape leaves known as dolmathes. Provender also makes good on his promise of lots of lamb and goat. Lamb ribs in mint-oregano sauce are on the appetizer menu, while both animals appear among the entrées. So does a whole-fish soup, stuffed and braised calamari, and rustic "village-style" pasta with yogurt, herbs and lemon zest. Denizens of downtown Burlington have another sandwich option. 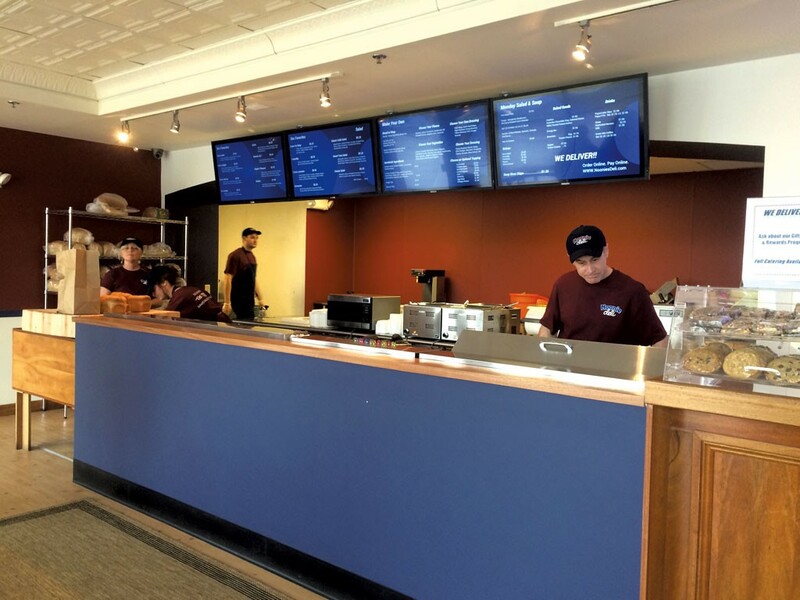 On Monday, April 6, Noonie's Deli opened in the space that most recently held Logan's of Vermont. The original Noonie's was established in Burlington in 1986, so the new location is more of a return than a debut. That means diners may already be familiar with classic sandwiches such as the smoked turkey, stuffing and cranberry-sauce-filled Gobbler. New owner Jonathan Wish, of Wow, That's Good Food! says he's particularly fond of Purple's Pleasure, a combination that melds turkey, bacon, avocado, jalapeños and cheddar with garlic-basil mayo. Customers can get one for themselves seven days a week from 7 a.m. to 7 p.m. The original print version of this article was headlined "EntréesNoonie's Deli"